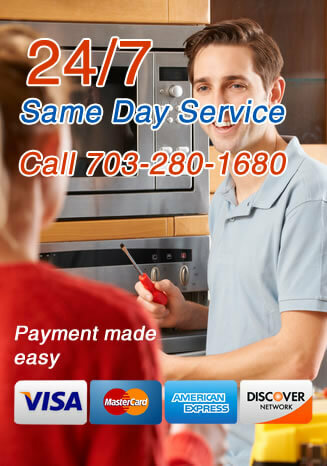 Oven Repair DMV provides oven repair services in Arlington County and surrounding areas. We offer 24/7 oven repair services. We realize that an oven is the most frequently used kitchen appliance. When there is an oven problem it is stressful as you use it to cook food. Therefore it is important for you to get an oven repair technician over to your place fast! We offer same day service. We are a leading appliance repair company in the Washington, DC Metropolitan area. Our specialty is repairing residential and commercial ovens. We repair all brands. We are conveniently located in the vicinity of Arlington, Virginia. If your oven has problems, give us a call today! All our oven repair specialists are certified and have over 10 years of experience. We can fix most problems with the oven the same day as we carry parts for many major products and brands, which means that your oven can be fixed as soon as possible.